Did you know that Martin’s is Maryland’s largest box lunch provider? Every year, we prepare more than one million box lunches. 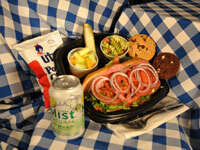 We serve the Baltimore/Washington metro area with gourmet box lunches, delivered to your location. Our box lunches are perfect for picnics, fundraisers, political events, trade shows, seminars and more. We can serve as few as 100 or as many as 30,000 or more. Our box lunches come in three tiers, to meet every need and budget. All box lunches include plastic ware, wetnaps and paper napkins. Dessert and bread substitutions and beverages are available. 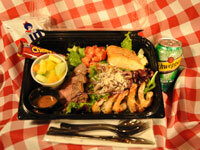 Let Martin’s provide gourmet box lunches for your next event! Contact an Event Planner today at (410) 944-9433. 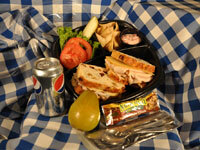 Contact us today and allow one of our event planners to help organize a gourmet box lunch.